While Joseph Muscat, his followers and his many admirers gloat and plan more good times for all of us, the PN are seemingly at a low ebb not imaginable even in the worst sadist’s thoughts. The PN did not only lose the election, they were decimated; and what they are doing now is more of an implosion gone awry. The election came, the electorate saw and the winners took all. 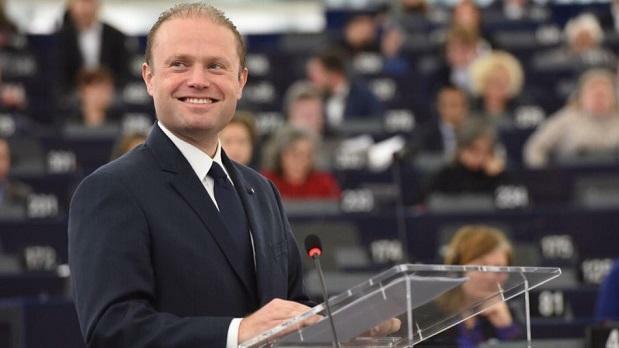 Sadly, even being reprimanded by the EU and its institutions did not make much of an impression on Muscat or his two henchmen embroiled in shady stuff. He was handed a clear mandate and proceeded to give the two malefactors a vote of super confidence. When he was grilled by MEPs, the prime minister proceeded to laugh himself out of any corner. All he needed to add to his wide grin was a placard saying—I won, I won, I won. The significance of such laughter—cynical, insipid and horrendously rude—is lost on our shores. In fact his legion of admirers seem to think that such disdainful attitudes elevate our dear Labour leader to the status of the sainted Dom Mintoff or even higher. The indomitable Dom was not subdued by our small size and never stopped attacking the West. In Malta he was considered a super-hero, a man who, like David in his fight with Goliath, was wily, cunning and capable of lunging at anyone, big, huge or powerful. But laugh? Did he ever do that? Muscat’s ways make me think how ironic it is that we, as a nation of less than half a million people, think we are special and have a right given by god, nature, or the galaxy to feel smug and superior. All around us should bow in admiration. Joseph Muscat has won the election by another super landslide. The people have spoken and decided that talk of corruption or of good governance is a sheer waste of time. Joseph Muscat has won the election by another super landslide. The people have spoken and decided that talk of corruption or of good governance is a sheer waste of time. Muscat has got away scot-free and seems likely to keep on doing so for now, as at the end of the day, we are insignificant in the general order of things. Little, cute dogs are allowed plenty of leeway and left to bark themselves silly, even when confronted by bigger dogs. The latter just look on without even bothering to bark, but when they’ve had enough big dogs are wont to bite and snap cute little ones’ heads off.